Patanjali Amla Juice -1 Liter. Ayurvedic Herbal Hills Amla Natural Juice (2 x 500 ml).Amla (Emblica officinalis) Pure & Natural juice is said to have great rejuvenating and antioxidant property.Â It is considered to be one of the richest source of natural Vitamin C.Â It is said to relieve inflammation from alimentary canal and is also considered to be useful in hyperacidity and peptic ulcers, diabetes etc. 100 % Natural & No Preservatives! Vedantika Herbals Instant Lemon and Ginger Drink is formulated with a balanced combination of lemon and ginger. This drink is rich in Vitamin C and is very refreshing and energizing. If you are suffering from flu or colds, try this drink and it will soothe you instantly. 100 % Natural & No Preservatives! Vedantika Herbals Shashtamrita Drink is formulated with a balanced combination of Orange, Pineapple, Srawberry, Guava, Lemon, Pomegranate and Mint. It is a very nutritive good source of vitamins and minerals and promotes overall health. The Arabic word Alfalfa means father of plants. It is considered the richest land source of trace minerals. Rich in vitamins, minerals and other nutrients Alfalfa makes an amazing herbal remedy. Consuming alfalfa seeds as a whole food provides the most natural form of this multifaceted plant. Because they are so small, the sprouts contain a concentrated amount of certain vitamins and minerals such as calcium, vitamin K and vitamin C. Alfalfa sprouts contain just 8 calories and 0 grams of fat per cup. One cup of alfalfa sprouts supplies 2.7 milligrams of the 75 to 90 milligrams of vitamin C you need each day for a strong immune system and healthy skin. A serving of alfalfa sprouts supplies sufficient amounts of bone-building calcium and potassium for healthy muscles and a normal heart beat. You also get doses of magnesium, iron, folate and vitamin A from a serving of alfalfa sprouts. Original Divine Noni Gold Noni Drink Concentrate is a health enhancer. It can be consumed by all and helps to maintain healthy body. It revitalizes the cells in the body which are damaged by free radicals. The Original Divine Noni Gold is rich in vitamins like vitamin A, Vitamin B, and Vitamin C & minerals like calcium, potassium, iron, phosphorus etc. that helps to maintain proper functioning of the body systems.Original Divine Noni Gold is the most powerful, health-giving food for cells formulated from nature for greater health, greater energy, vitality, body balancing and well-being. Barley Grass Powder is so rich in nutrients that it contains 30 times more vitamin B1than milk, 7 times more Vitamin C than oranges, 5 times more iron than spinach as well as containing large amounts of beta-carotene, potassium, calcium and magnesium. 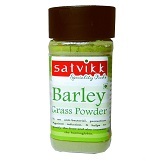 So grab you health now with Satvikk Barley Grass Powder. is obtained from dehydrating the extracted juice of wheatgrass. It helps to detoxify the body & contains high levels of beta-carotene, amino acids, B vitamins, and fiber. Alfalfa a unique complete food was once known in ancient Arab civilisations as the â€œFather of all foodsâ€?. Scientific studies have revealed that alfalfa contains almost all the known vitamins, minerals and trace elements needed for premium health. It is also up to ten times richer in minerals than most cereals. *Please note â€“ due to the high level of Vitamin K contained in Alfalfa, this product may not be suitable for people who are taking blood thinning medication such as Aspirin or Warfarin. 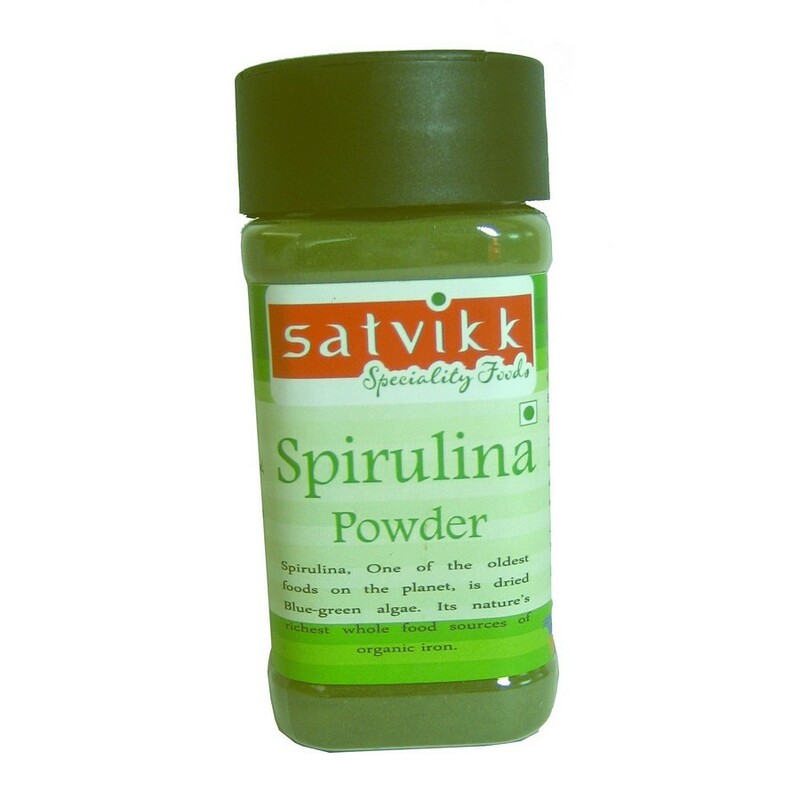 Spirulina has the highest protein and beta-carotene levels of all green superfoods and also has naturally occurring GLA (Gamma Linolenic Acid), a popular fatty acid with numerous health benefits. As a dietary supplement, take one level tablespoon or more times daily, mixed in water, fruit or vegetable juice. Note: Please dont use if it is contaminated to avoid health risks. 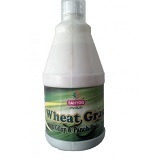 Sahyog Herbals WHEATGRASS Juice with Tulsi & Giloy (500 ml).Increases red blood-cell count and lowers blood pressure. It cleanses the blood, organs and gastrointestinal tract of debris. Wheat grass also stimulates metabolism and the bodyâ€™s enzyme systems by enriching the blood. It also aids in reducing blood pressure by dilating the blood pathways throughout the body. Stimulates the thyroid gland, correcting obesity, indigestion, and a host of other complaints. Restores alkalinity to the blood. Ayurvedic Herbal Hills WHEAT-O-POWER Ultra Juice (500 ml).Aloevera is considered to be a nutritional storehouse. It is said to provide the necessary amino acids, enzymes, minerals, vitamins etc. that are useful in the production of muscles, tissues etc., support digestion and enhance nutrient absorption. It is also considered to act as an anti-oxidant, neutralize free radicals & acts as immune booster. Wheatgrass : Wheatgrass Juice is considered to be a complete food because it contains high concentration of chlorophyll (offering high level of energy) active enzymes, amino acids, vitamins and other nutrients. One of the best things about wheatgrass juice is that it is immediately absorbed into the blood stream and likely to give immediate energy.